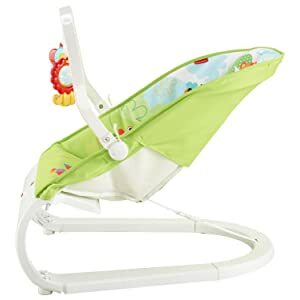 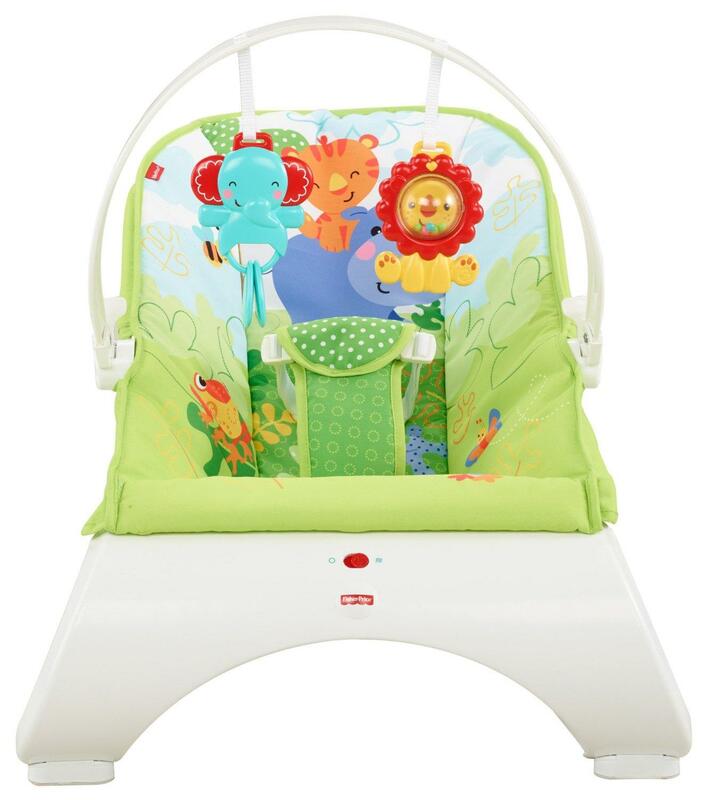 When baby’s not napping in the Fisher-Price Rainforest Friends Comfort Curve Bouncer, important skills are developing. 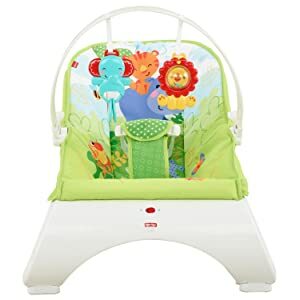 The two toys swaying overhead captivate baby’s attention, helping to strengthen visual and tracking skills – as well as gross motor skills and eye-hand coordination as baby reaches for and bats at the toys. 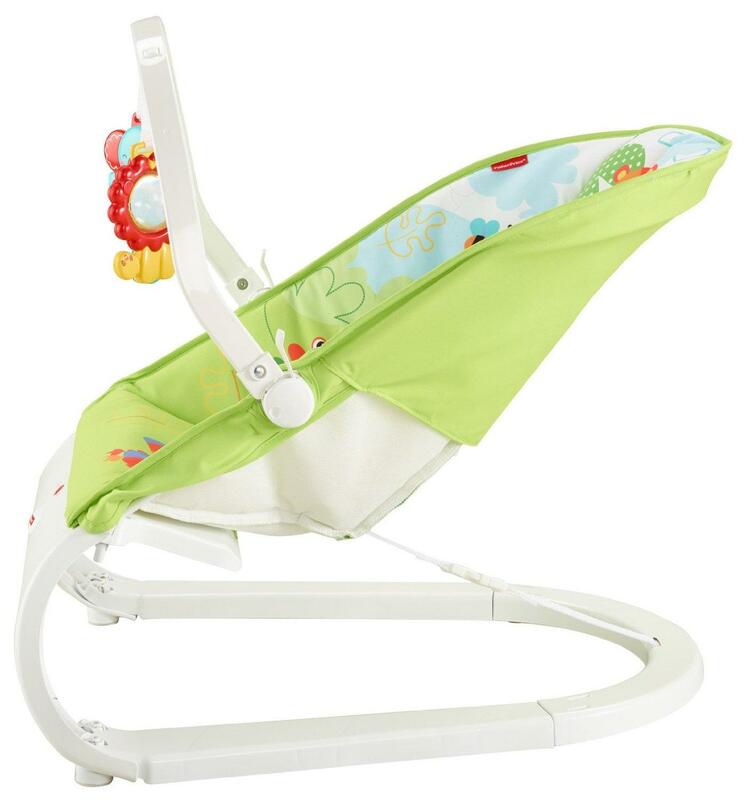 The comfy seat and calming vibrations give baby a sense of security and happiness – almost like he’s cradled in your arms!